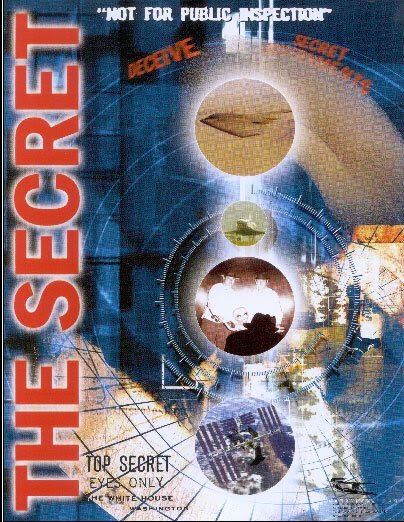 Sci Fi Channel's "UFOs : The Secret" presents the story of how "leaked" government documents prove that the United States has been recovering crashed unidentified flying objects, often known as flying saucers, since 1941, and has been successful in keeping this information from the public. These documents have been examined using forensic techniques and are declared genuine by those who examine the subtleties of paper, ink age, watermark, type fonts, classification stamps and markings. The central basis of the documentary is the content of the documents and the amazing story they tell - a different approach. Not only does this documentary have some distinguished advocates taking compelling supportive positions, such as Astronaut Ed Mitchell, and researchers Stanton Friedman, Timothy Good, and Michael Lindemann, but some dissenting views are also included from skeptical corners. The program was broadcast on the Science Fiction channel. To protect UFO science and technology from our enemies. To conceal our ignorance of where they are from and why they are here. To cover up past unconstitutional acts ranging from death threats to greater crimes. To gain monopolies over the technical applications, such as fiber optics, integrated circuits, night vision scopes, Kevlar material and new revolutionary energy sources. To avoid public panic, a possibility very much on the minds of 1940s authorities following the 1938 Orson Welles "War of the Worlds" broadcast, as well as to prevent any possible impact on religions. There are many UFO documentaries out there presenting the truth the best way possible and as known to them ... This doesn't have to become your truth if it doesn't resonate as truth at the deepest level of being ... There is undoubtedly a lot of disinformation regarding ETs and UFOs doing the rounds which makes the whole process of learning more richer as the illusions are gradually transcended making way for the eternal light of truth to shine, here now !